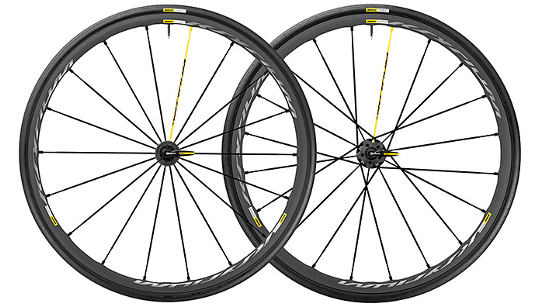 The Mavic Ksyrium Pro's have been a store favourite for years. A lightweight wheel that has a low rolling resistance that makes long days in the saddle feel easy. The added benefit with the Exalith is the chemical substance that has been added to the rim surface. Not only does it give the aluminium surface a stealth appearance but it has been proven to reduce stopping distances by 18% on both wet and dry roads. Exalith specific brake pads are also provided that help to keep braking quiet and efficient but also limit rim wear, so you can carry on using the wheels for years ... and years. 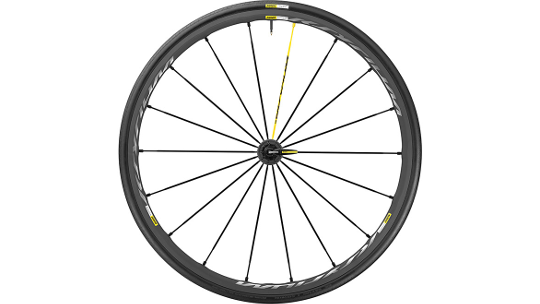 Finally, Mavic has used their GripLink tyre on the front wheel to optimise grip whilst cornering and a PowerLink rear tyre that continues to lower rolling resistance. ISM 4D rims are made to maintain low weight while improving aerodynamics for a boost in speed that doesn't get affected by the wind. 21mm external width (17mm internal) for improved rolling efficiency and comfort, that allows you to remain in the saddle for long rides without feeling the effects. 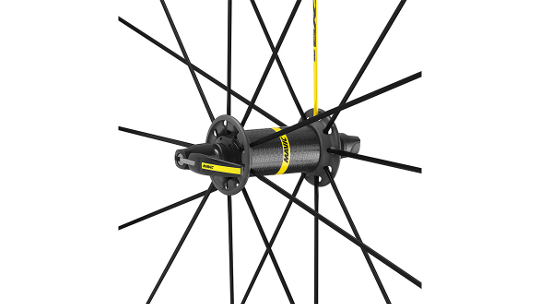 Stiff and strong Zicral spokes ensure optimised robustness. 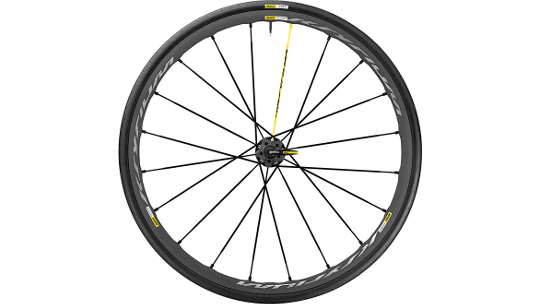 Isopulse lacing front and rear increases wheel stability and a GripLink front tyre provides cornering grip and a PowerLink rear tyre lowers rolling resistance. Braking distances have been proven to be 18% shorter than average in wet or dry conditions thanks to a chemical substance that has been added to the rims. This substance also reduces rim wear for extra longevity and an all-black look that lasts for thousands of kilometres.